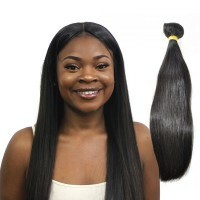 These Peruvian, Brazilian and Cambodian straight weaves adopt 100% original human virgin hair, there are black and blonde straight weave hair in different sizes to meet various needs of different people. The straight weave human hair is non-shedding and no tied, the color will also not fade after being washed. 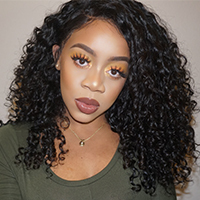 It is your best partner to attend party and you do not need to worry that the weave wigs will harm your scalp health, because it is completely natural virgin hair and gets superior texture, you will not regret once purchasing a straight weave human hair here.